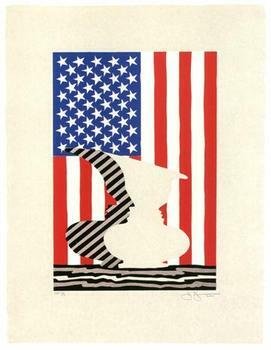 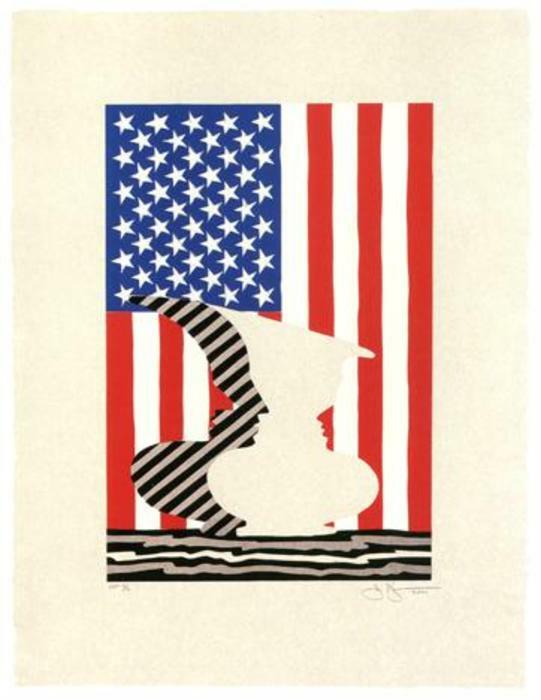 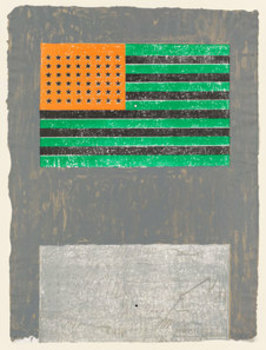 Flags (ULAE 42), 1968 Color Lithograph On East India Paper; Edition Of 43 With 5 Artist's Proofs; Signed & Dated In Pencil "J Johns 68" Lower Right. 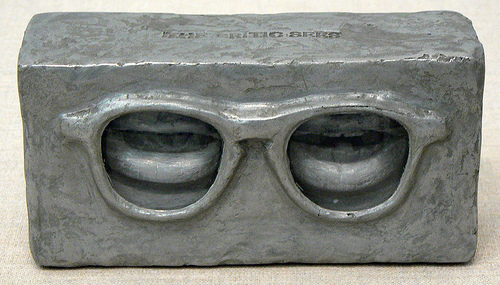 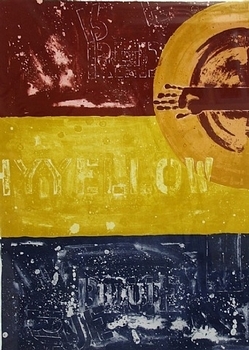 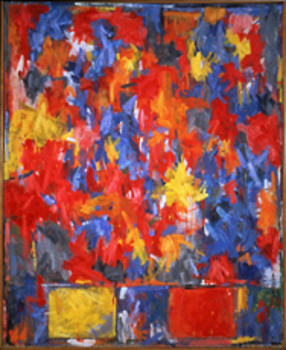 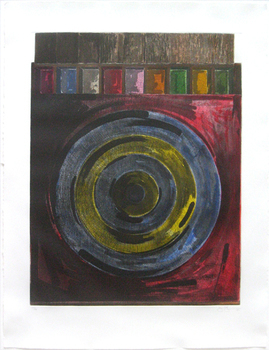 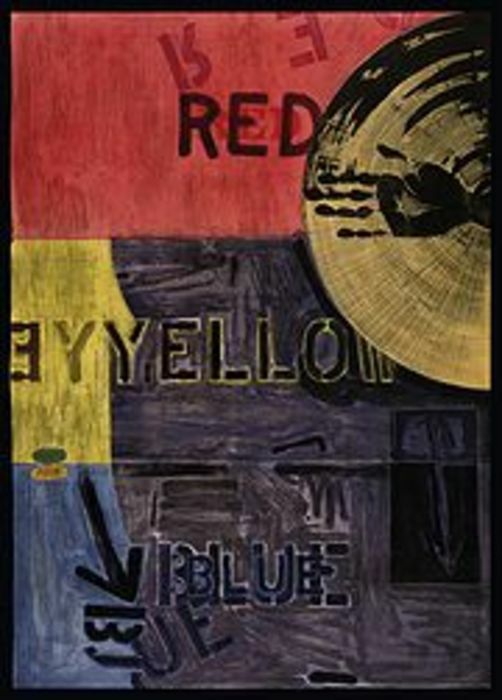 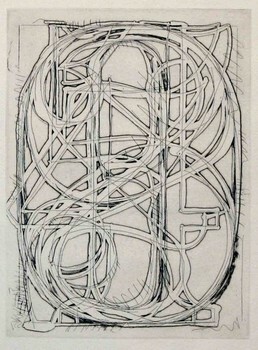 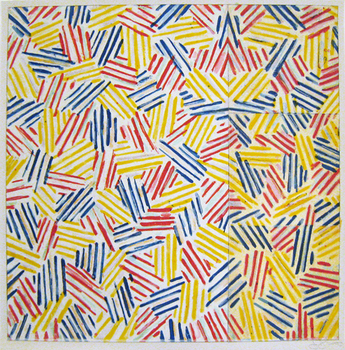 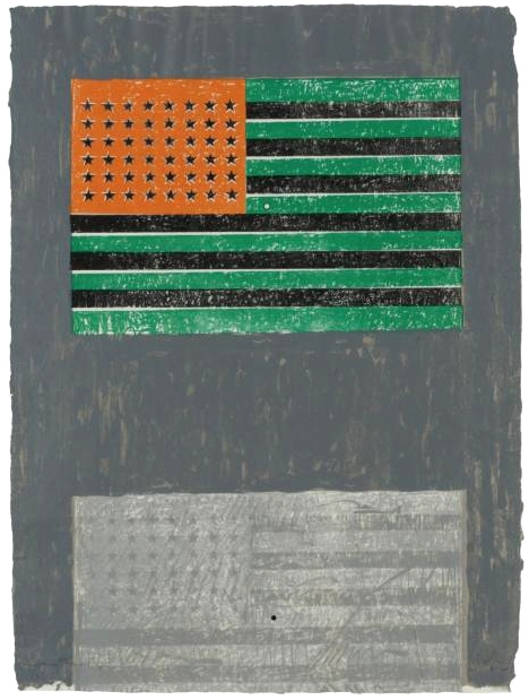 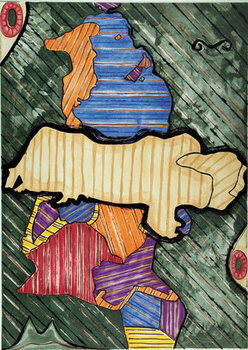 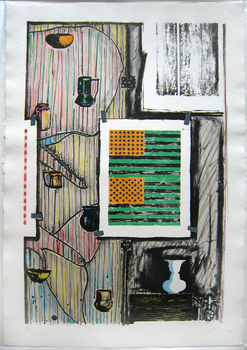 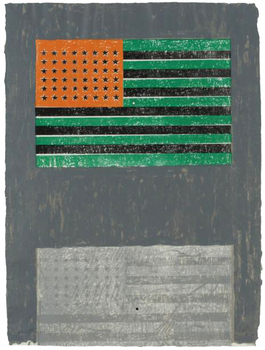 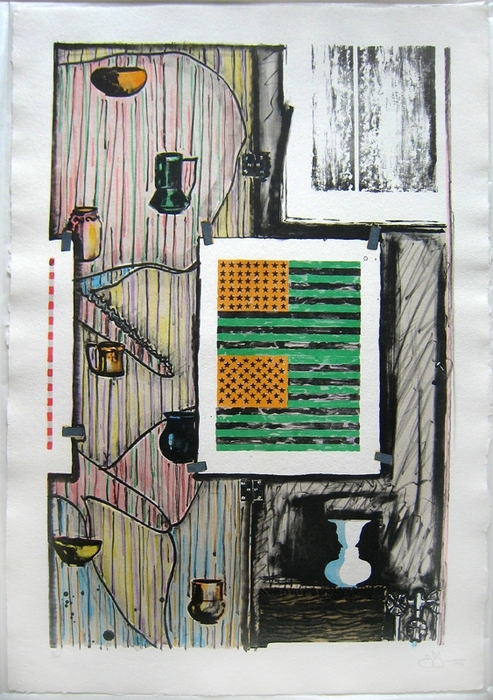 34 X 25 Inches; Another Impression Recently Exhibited In Focus Jasper Johns At Museum Of Modern Art, 2009. 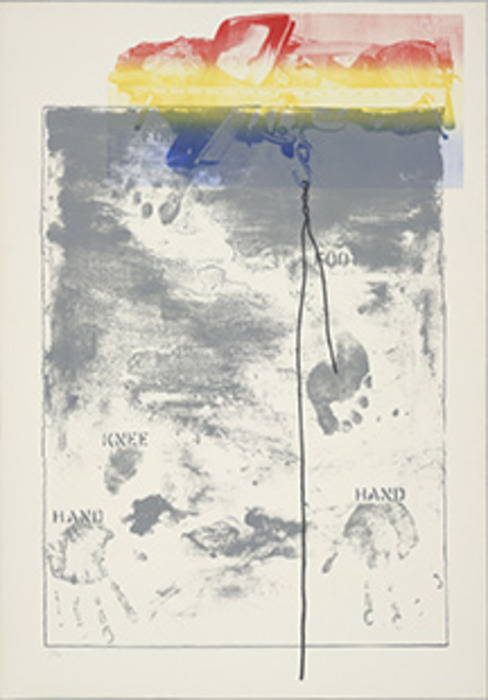 © Courtesy of Joseph K. Levene Fine Art, Ltd.
Cicada II (ULAE 214), 1981 Color Silkscreen On Paper Kurotani Hosho Paper 24 X 19 Inches © Courtesy of Joseph K. Levene Fine Art, Ltd.
Savarin (ULAE 220), 1981 Color Lithograph With Seven Aluminum Plates On Rives Bfk Paper 50 X 38 Inches © Courtesy of Joseph K. Levene Fine Art, Ltd. 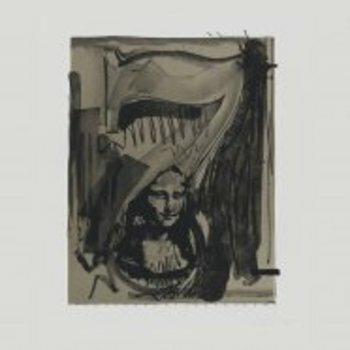 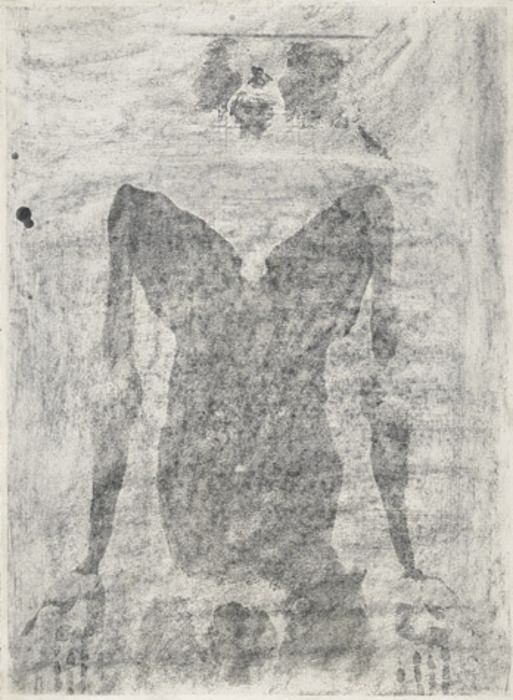 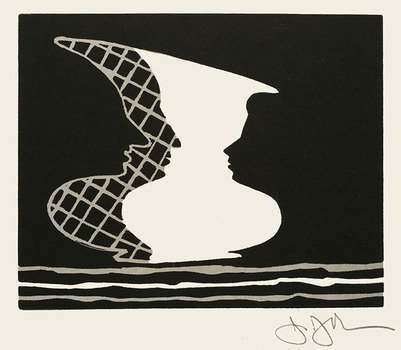 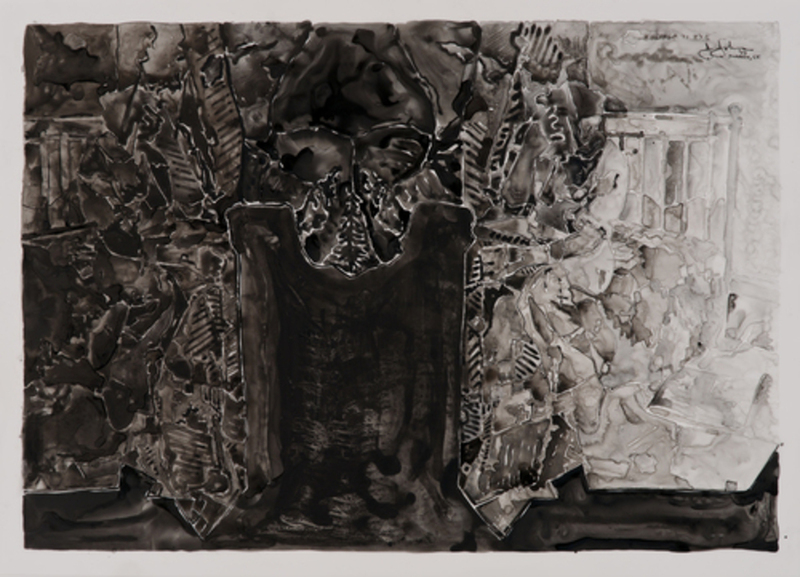 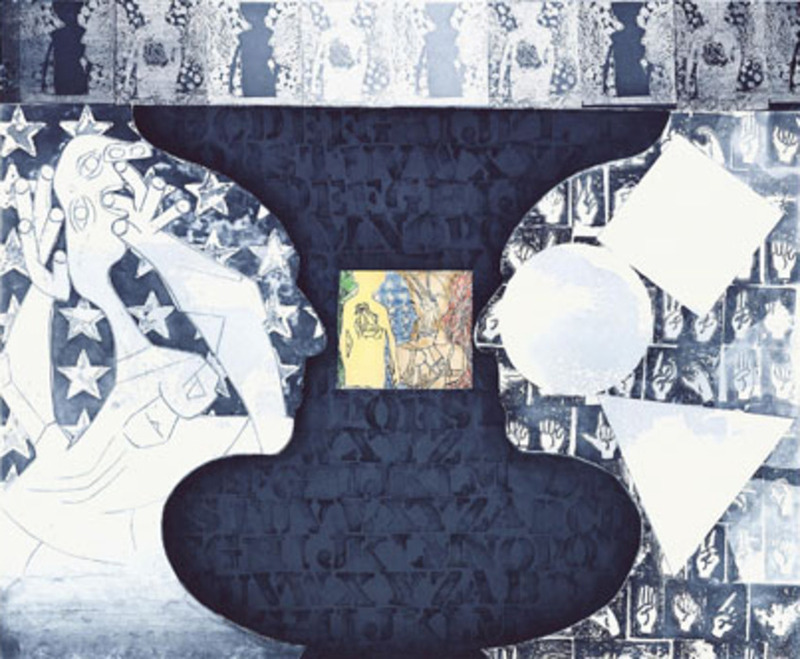 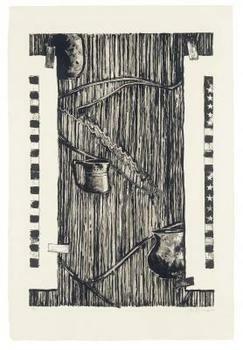 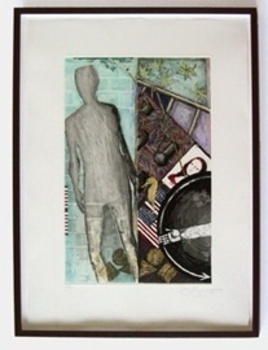 Figure 9 (ULAE 53), 1968 Lithograph On Copperplate Deluxe Paper 28 1/4 X 22 7/8 Inches © Courtesy of Joseph K. Levene Fine Art, Ltd.
Target with Plaster Casts (ULAE 208), 1978-1980 Color Etching And Sugar Lift Aquatint On Rives Paper 29 1/2 X 22 5/8 Inches © Courtesy of Joseph K. Levene Fine Art, Ltd.
Ventriloquist (ULAE 235), 1986 Color Lithograph: 11 Aluminum Plates On John Koller Hmp Paper 41 1/4 X 29 Inches © Courtesy of Joseph K. Levene Fine Art, Ltd. 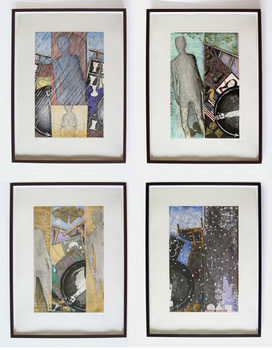 The Seasons Suite of 4 (ULAE 238-241) Spring (ULAE 238), Summer (ULAE 239), Fall (ULAE 240), Winter (ULAE 241) , 1987 Color Intaglios, Five Copper Plates On Somerset Paper 26 X 19 Inches Each © Courtesy of Joseph K. Levene Fine Art, Ltd.
Summer (Blue) (ULAE 254), 1985-91 Color Lithograph On J. Whatman Paper 16 1/4 X 11 Inches © Courtesy of Joseph K. Levene Fine Art, Ltd.
0-9 Set of 10 (ULAE 156-165), 1975 Set Of 10 Hand Signed Intaglios On Barcham Green Paper Each: 8 3/8 X 6 Inches © Courtesy of Joseph K. Levene Fine Art, Ltd.
#6 (After "Untitled 1975") (ULAE 179) from the Series of 6 , 1976 Color Lithograph From 16 Aluminum Plates On Rives Bfk Paper, Edition Of 60; Signed & Dated In Pencil "J Johns 76" Lower Right. 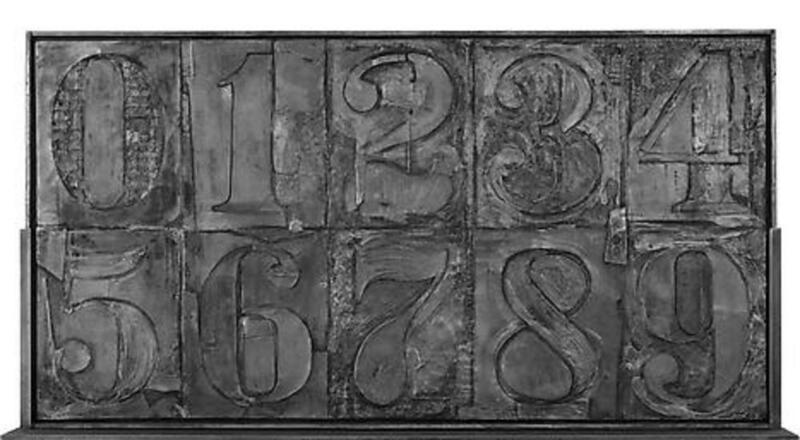 Numbered In Pencil By The Artist From The Edition Of 60 Lower Left. 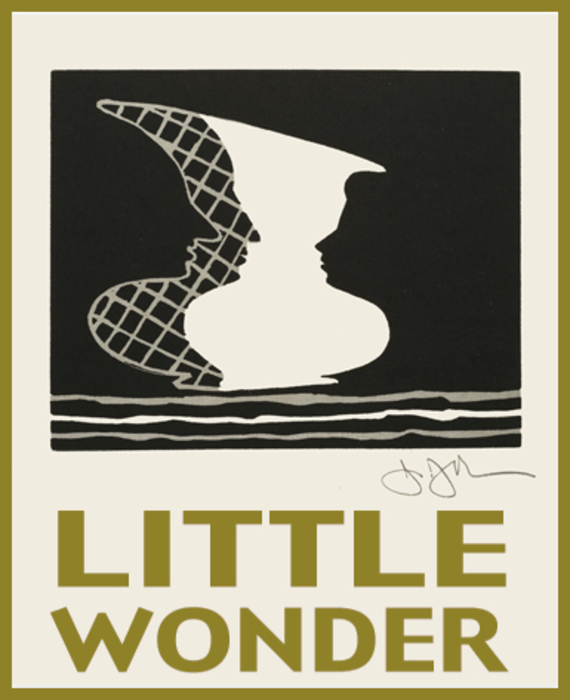 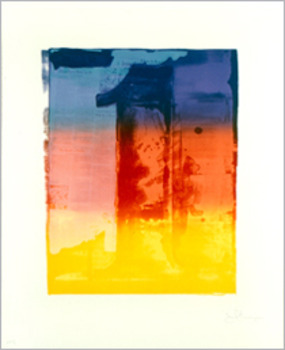 30 1/8 X 29 3/4 Inches © 2009 Courtesy of Joseph K. Levene Fine Art, Ltd.
Summer (ULAE 239), 1987, From the Seasons Suite of 4: (ULAE 238-241), 1987 Spring (ULAE 238), Summer (ULAE 239), Fall (ULAE 240), Winter (ULAE 241) Suite Of 4 Color Intaglios From Five Copper Plates On Somerset Pape Each: 26 X 19 Inches; Signed, Dated & Numbered By The Artist From The Edition Of 73. 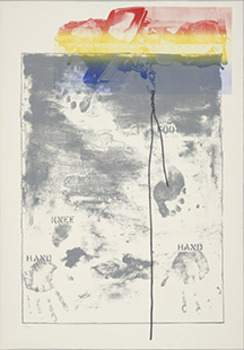 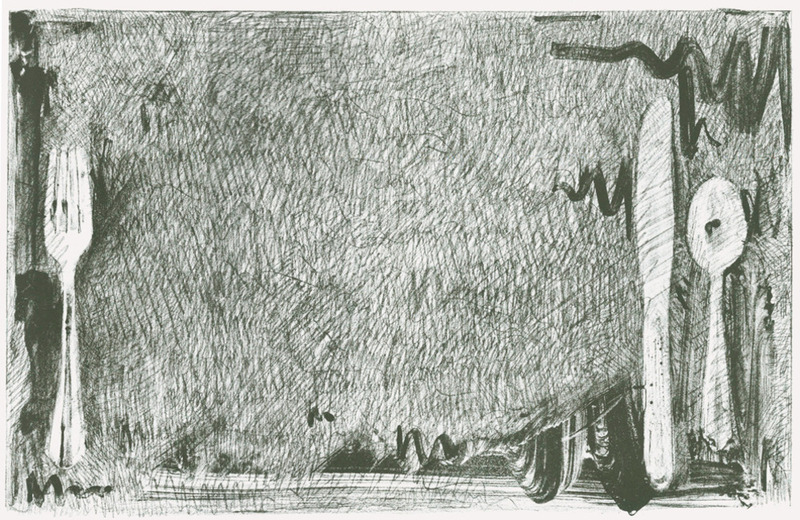 © Courtesy Joseph K. Levene Fine Art, Ltd.
© Courtesy of the artist & Matthew Marks Gallery - 522 W. 22nd St.
Periscope I, 1979 Lithograph 50 X 36 1/4 In. No. 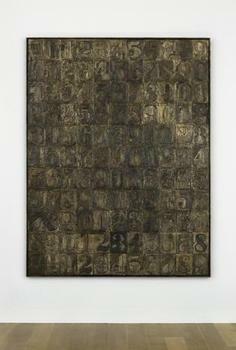 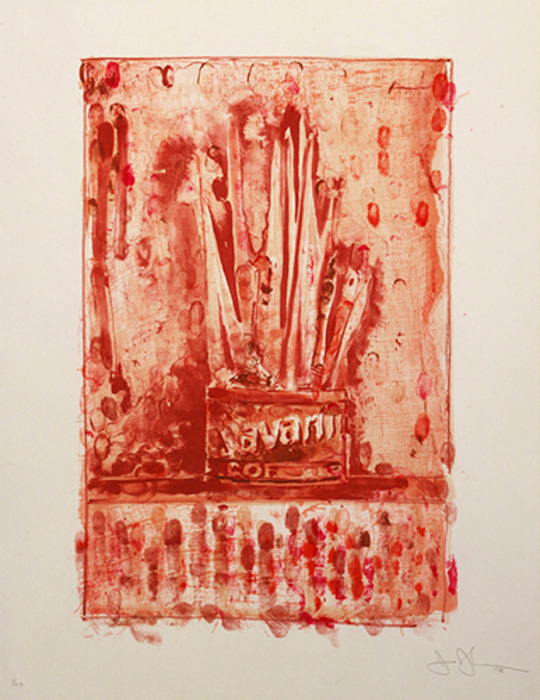 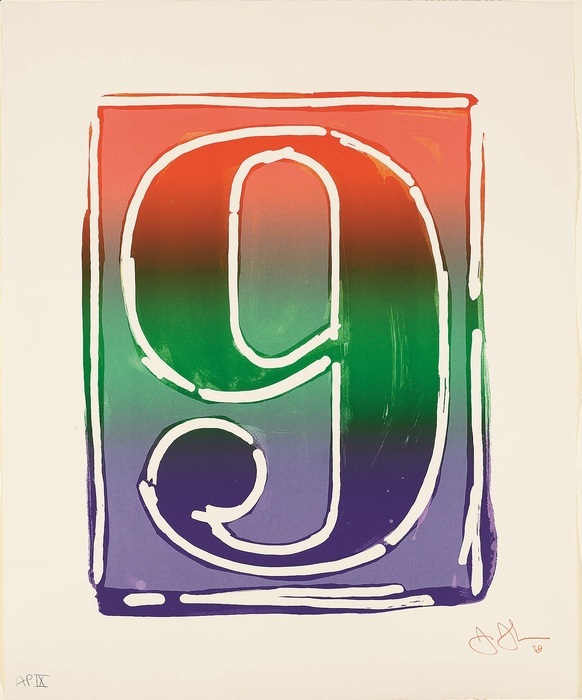 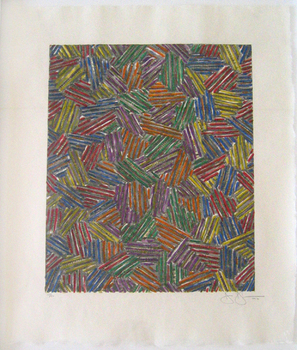 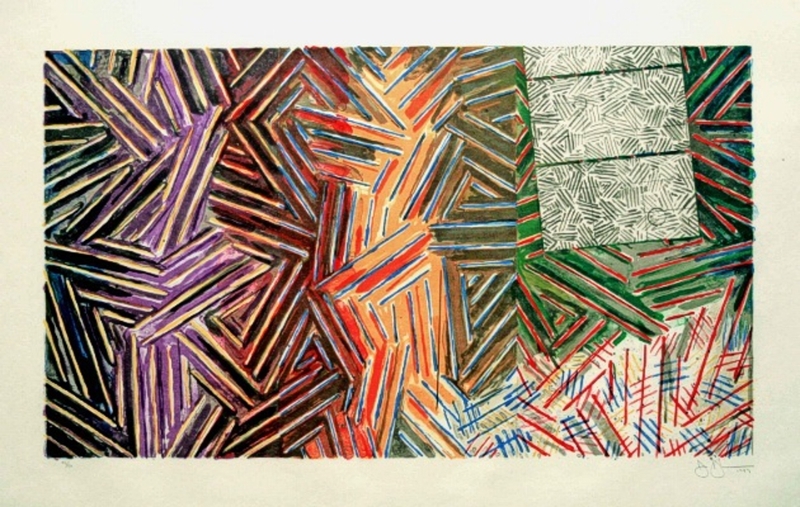 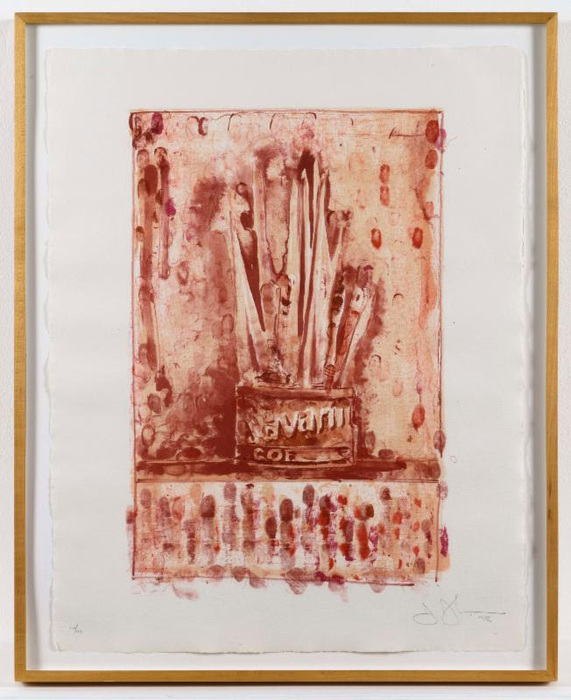 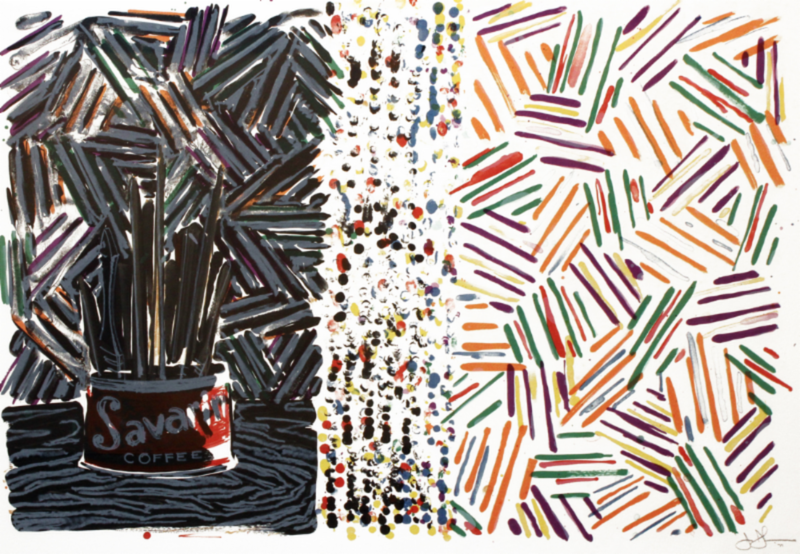 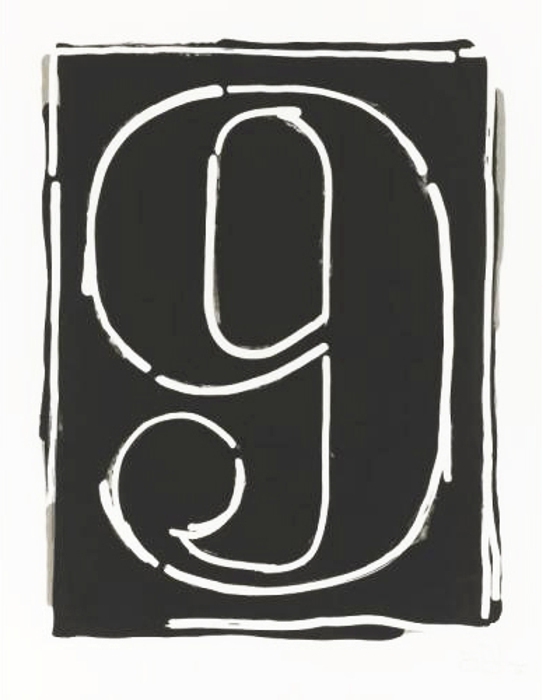 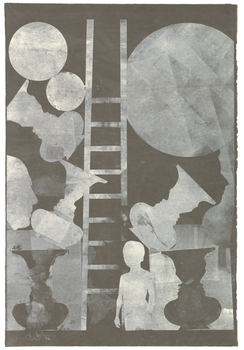 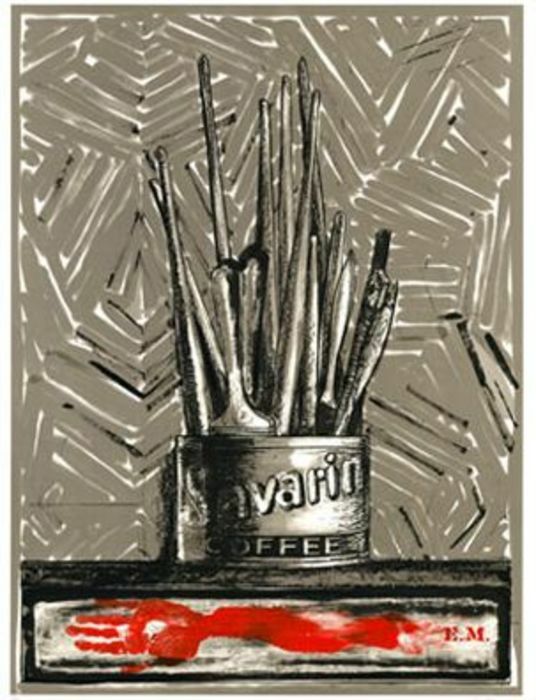 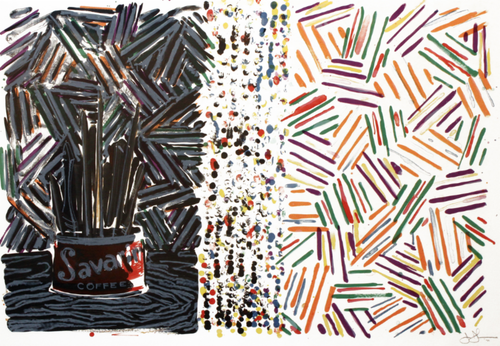 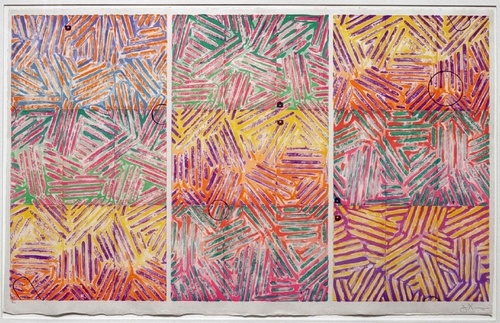 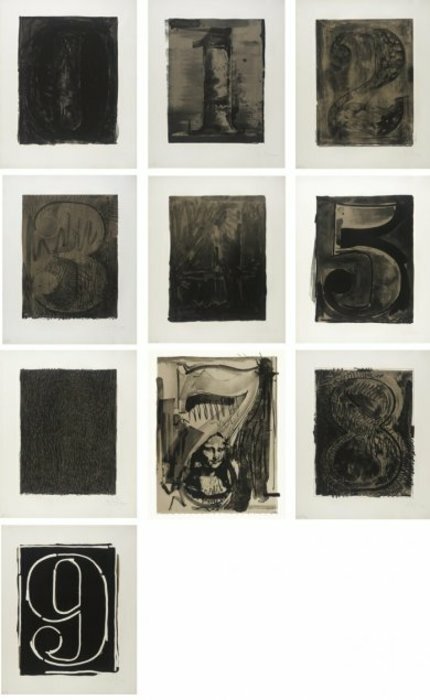 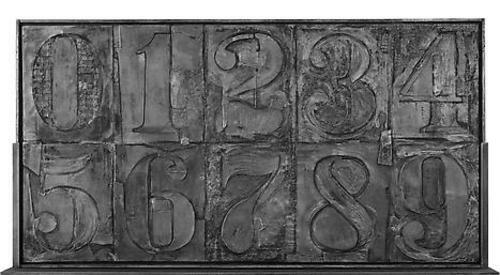 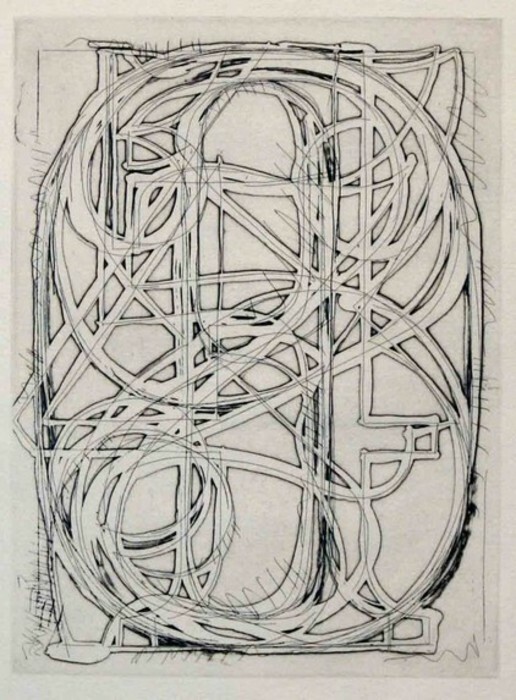 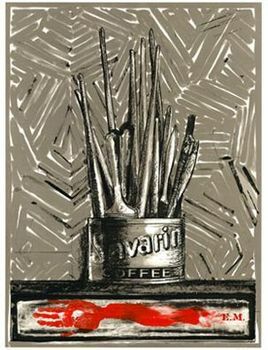 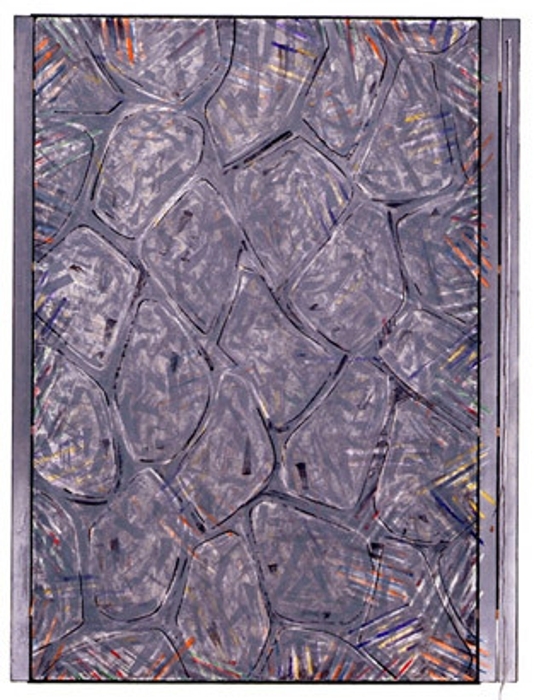 2 from 6 Lithographs, After Untitled 1975, , 1976 Lithograph 30 X 29 3/4"
Black Numeral Series (0–9), 1968/70, Los Angeles County Museum of Art, gift of the 2006 Collectors Committee, art © Jasper Johns and Gemini G.E.L./Licensed by VAGA, New York, NY, published by Gemini G.E.L. 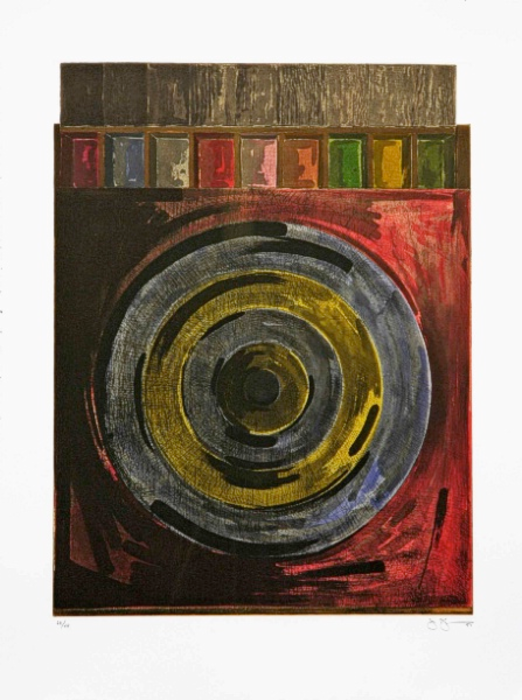 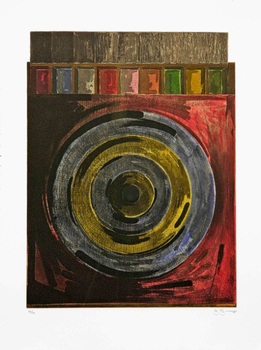 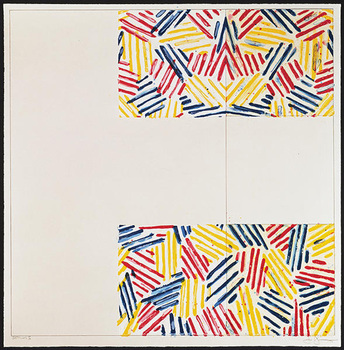 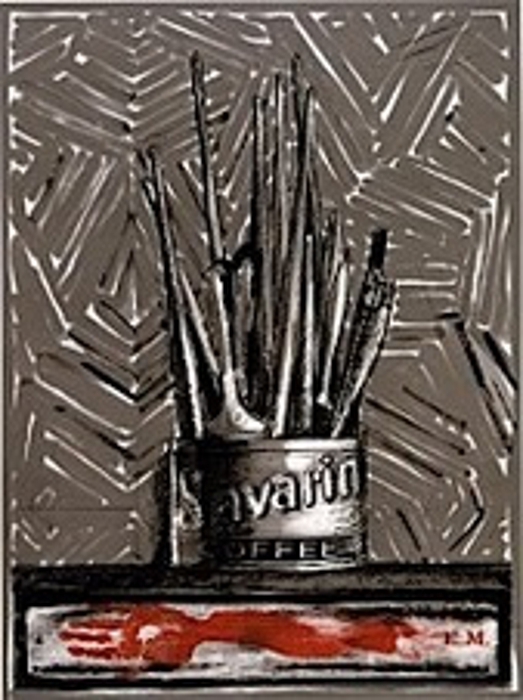 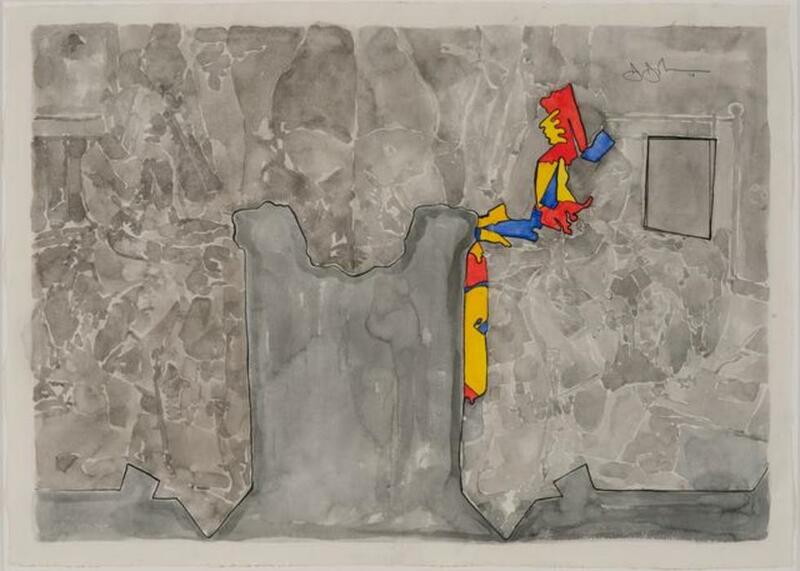 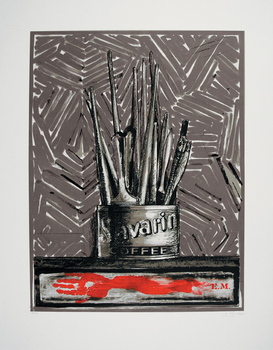 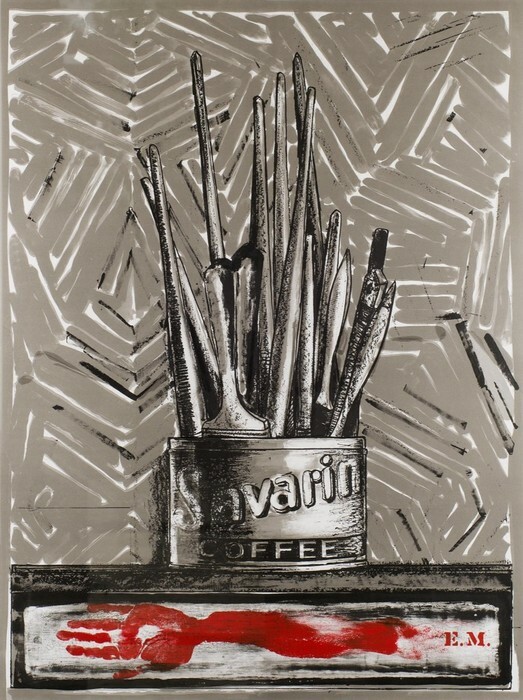 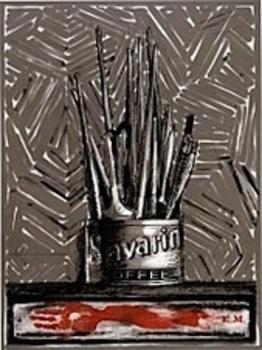 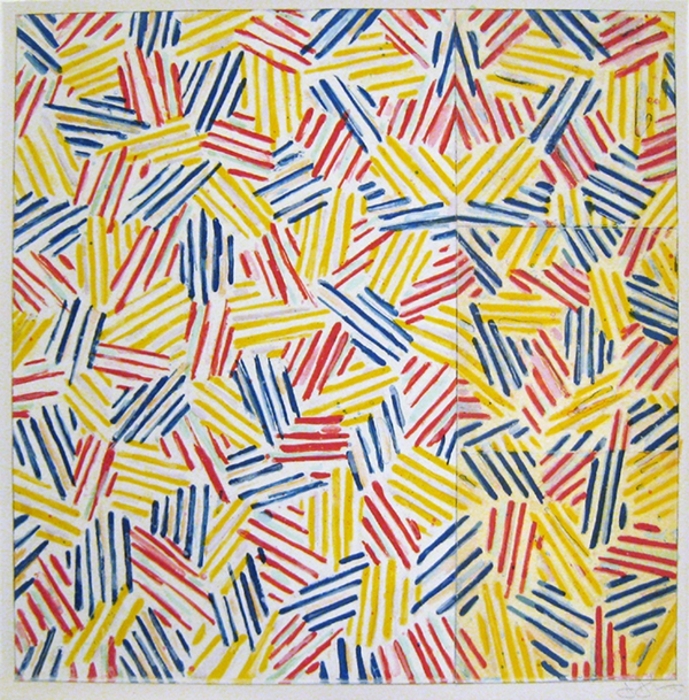 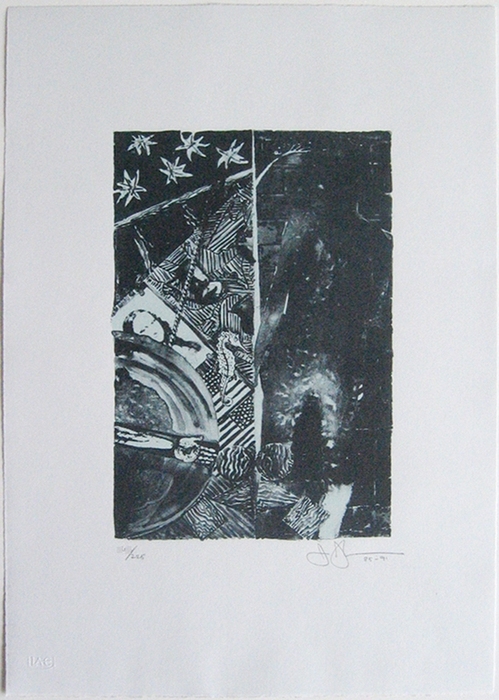 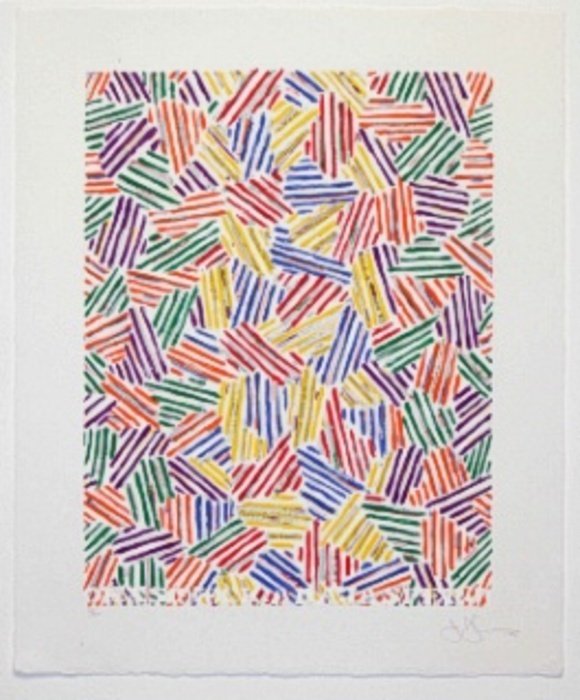 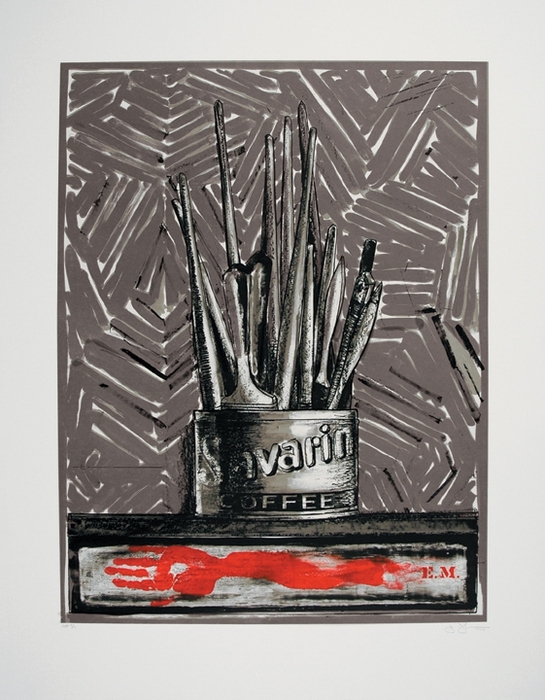 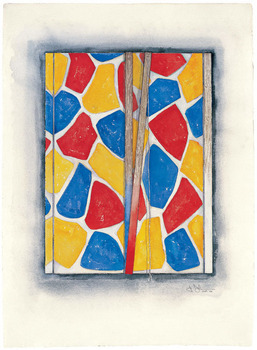 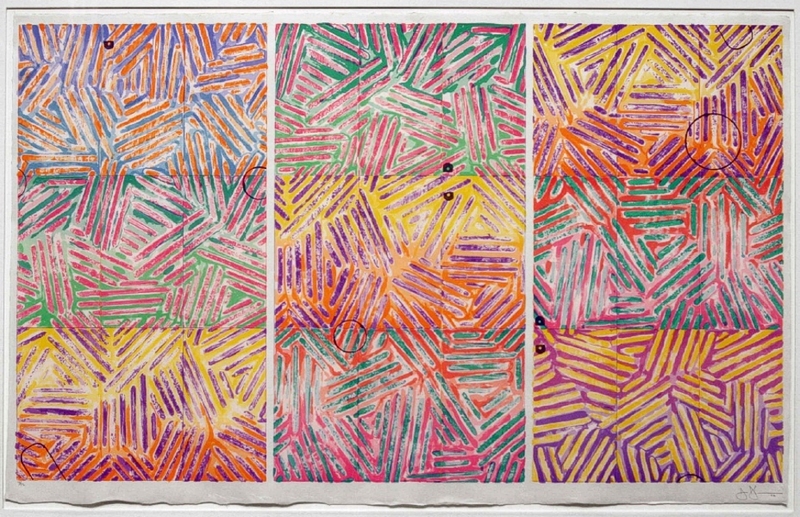 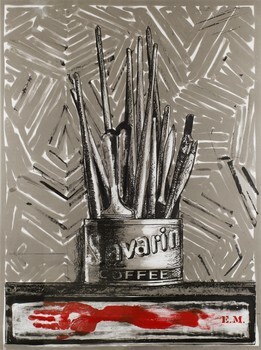 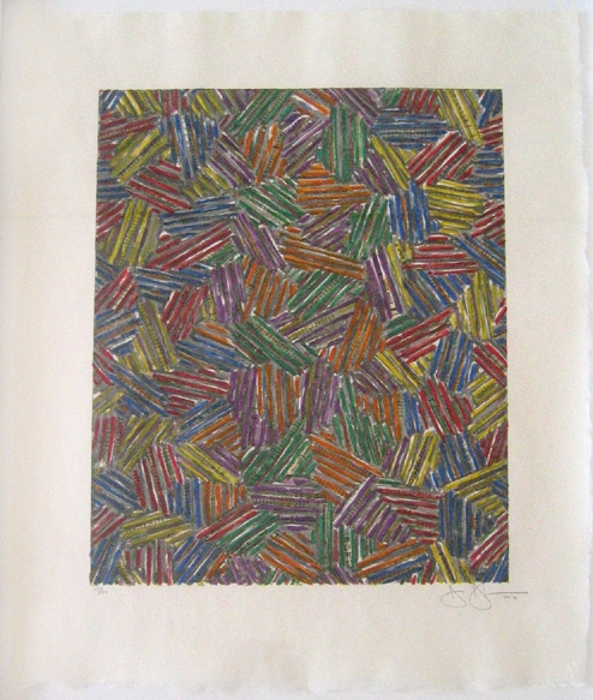 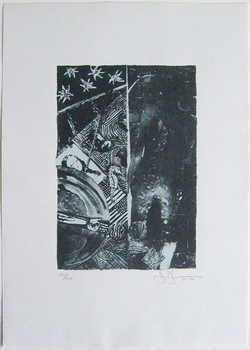 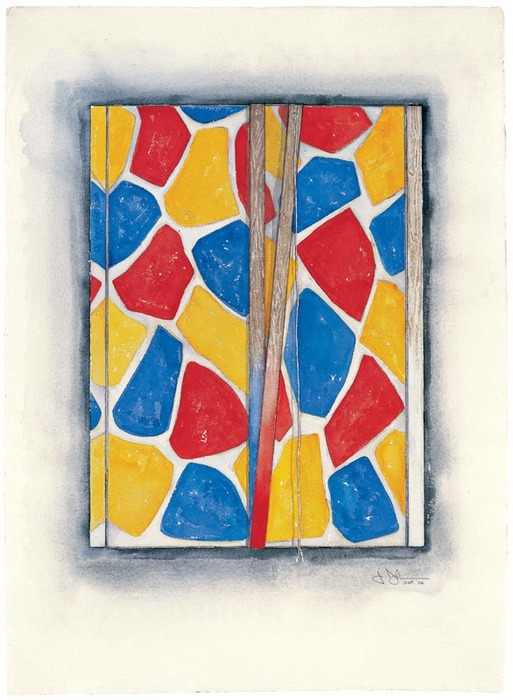 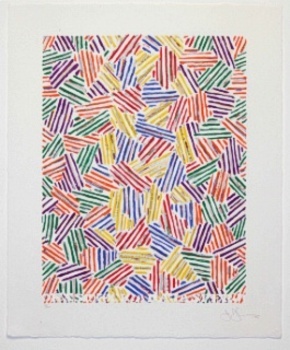 Jasper Johns is an American contemporary artist who works primarily in painting and printmaking. 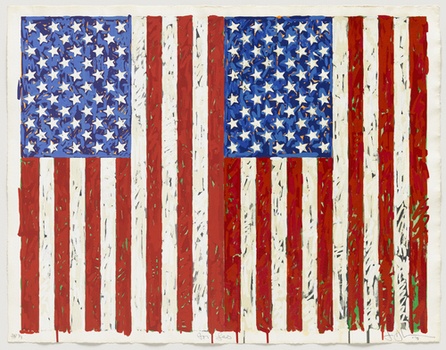 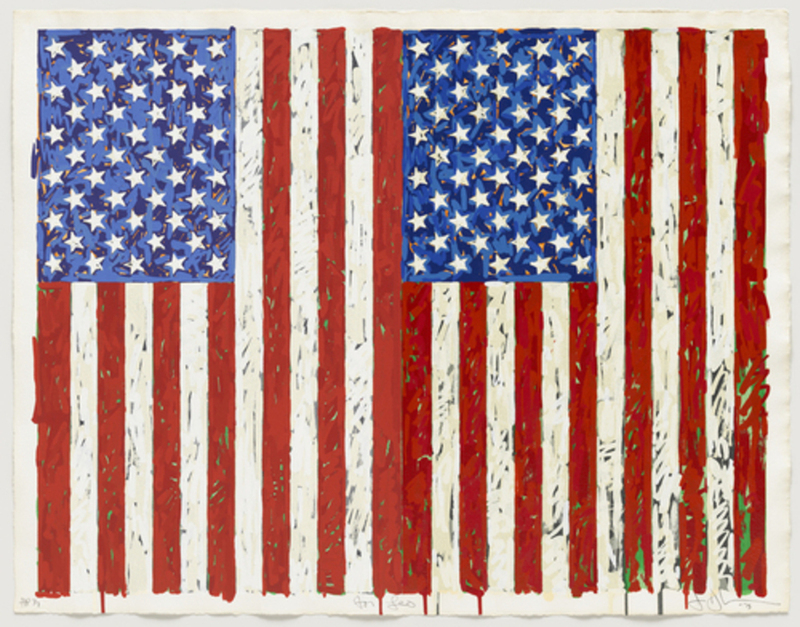 He is best known for his painting Flag (1954-55), which he painted after having a dream of the American flag. 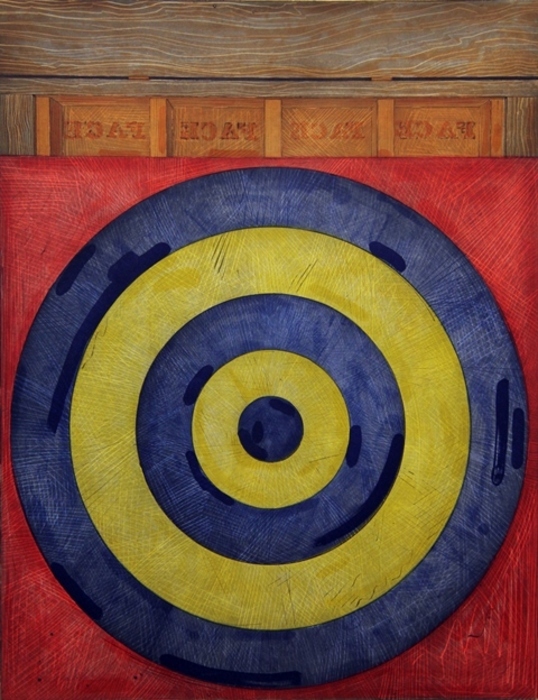 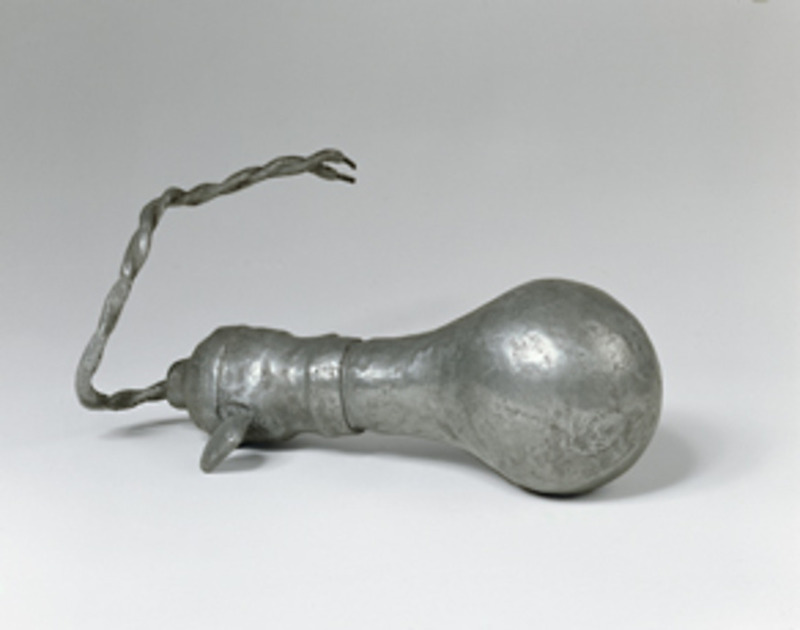 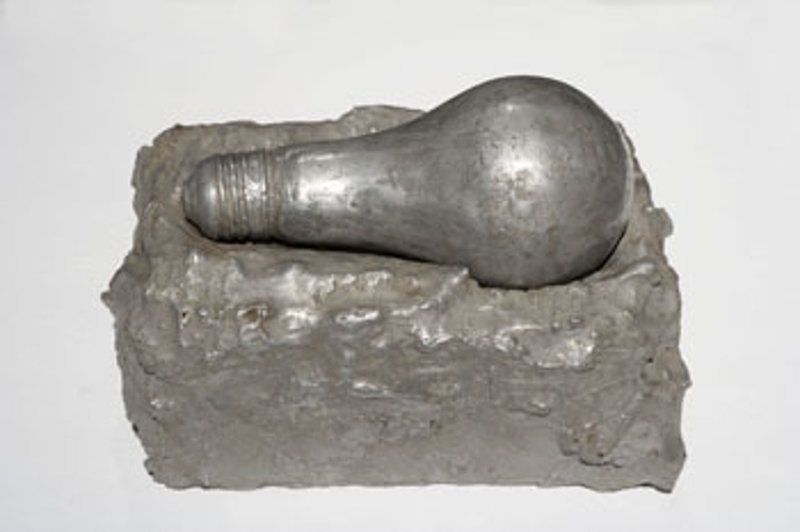 His work is often described as a Neo-Dadaist, as opposed to pop art, even though his subject matter often includes images and objects from popular culture. 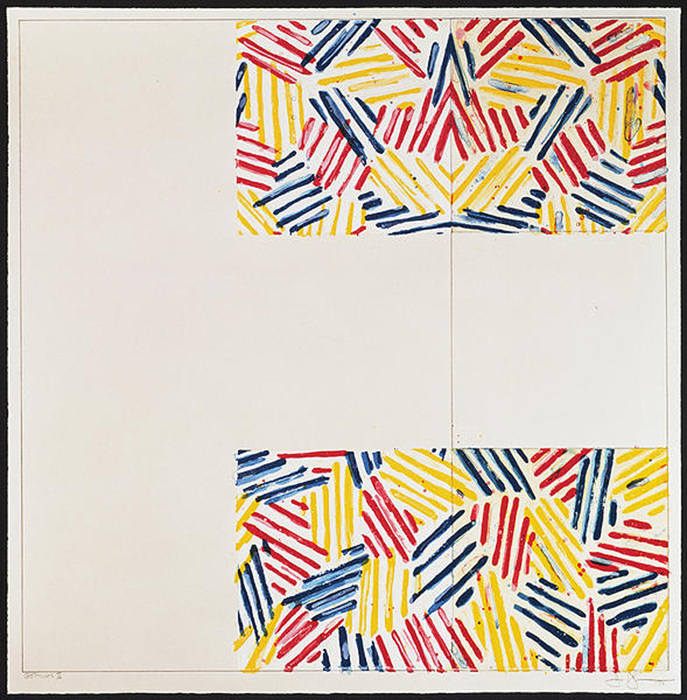 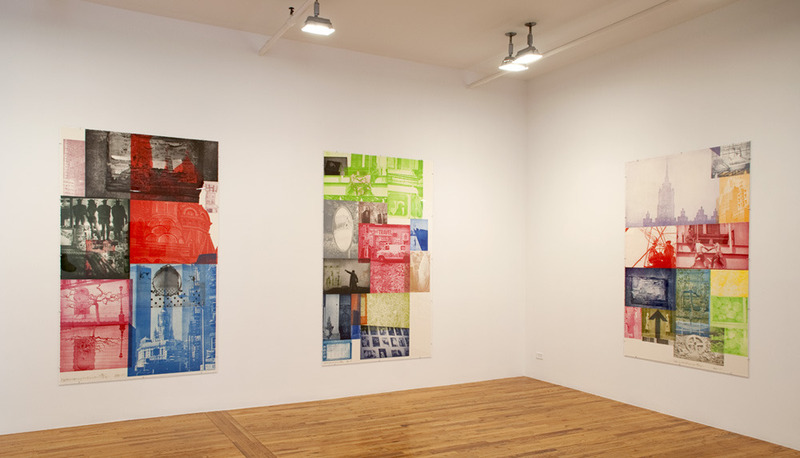 Still, many compilations on pop art include Jasper Johns as a pop artist because of his artistic use of classical iconography. 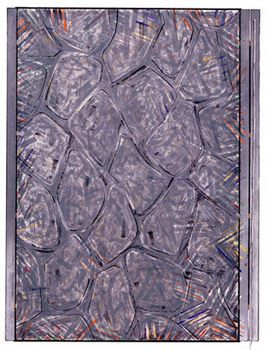 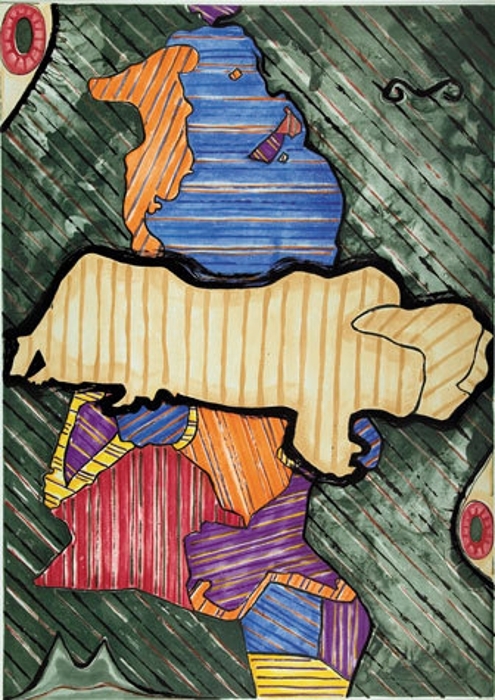 Since the 1980s, Johns produce paintings at four to five a year, sometimes not at all during a year. 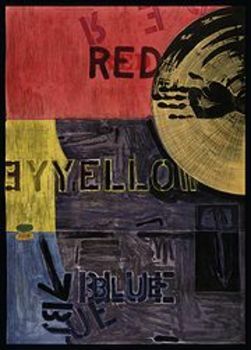 His large scale paintings are much favored by collectors and due to their rarity, it is known that Johns' works are extremely difficult to acquire. 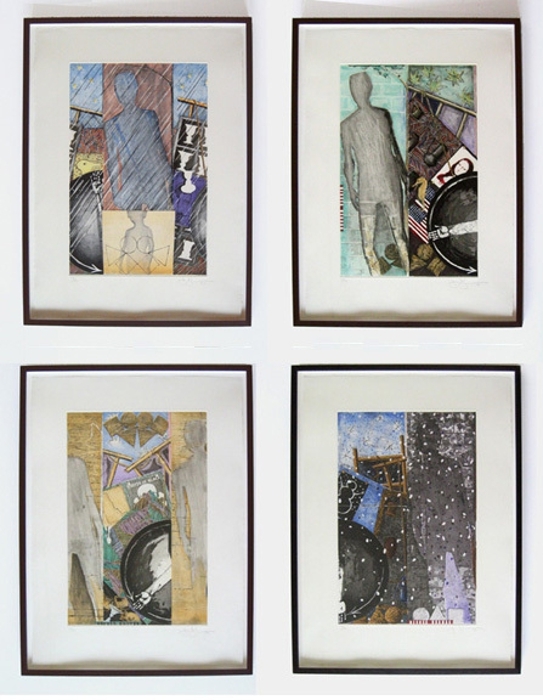 Find out more about the man and his work here.